We say, hit the road, Jack! With a little planning, you can bypass (or at least lessen) the backseat meltdowns. Packing a cooler filled with fun, filling and nutritious foods and drinks means fewer stops for fast food and gas-station snacks, so you save money and time. It’s a great idea to stop someplace along the way where everyone can stretch their legs and burn off some excess energy. Use this opportunity for a lunch break, too—look for a roadside turnout or anywhere with picnic tables and room to run. 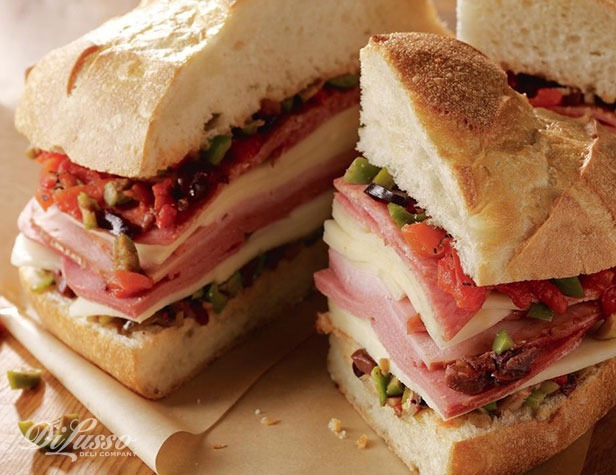 Pull out your pre-packed cooler and bring out the Mardi Gras Muffaletta. This sandwich can be made up to 8 hours ahead—just wrap tightly and keep cold in the cooler. 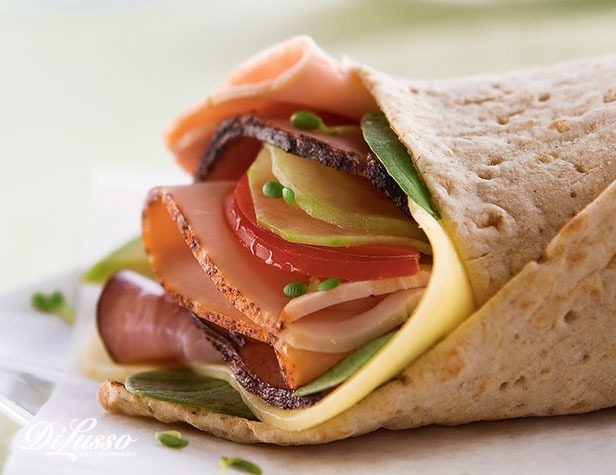 And it’s bursting with flavor, filled with DI LUSSO® Beef Bologna, Genoa Salami, Deli Deluxe Ham, Provolone, and Mozzarella and brightened with a savory and satisfying olive salad. Serve with grapes and carrot and celery sticks on the side, and everyone will be ready for the next leg of the journey. Wraps, like our Ranch Club Wrap, are another easy-to-pack option. Road Trip Bingo: buy, make, or print out from online Bingo cards showing road signs, vehicles, billboards, construction workers, etc., instead of the usual numbers. Everyone marks their card when they spot those items. Who can name the state capitals? Audio books are also both entertaining and calming. Make a special road trip playlist. Take turns choosing the music or radio station. And don’t forget to sing! Whether it’s “Old McDonald” or the latest pop hit, singing lightens everyone’s mood and makes the miles fly by. Keep in mind that there are over 400 National Parks across the U.S. in every state of the union. There’s nothing like wide-open spaces, monuments, and natural wonders to make the long journey worth it.